Wassily Kandinsky the founder of abstract Art was born in Russia in 1866 and died in France in 1944. He was known for hearing colours and painting their sounds. With bright, bold colours and shapes Kandinsky expressed his inner self in his paintings which he called 'Compositions' or 'Improvisations'. 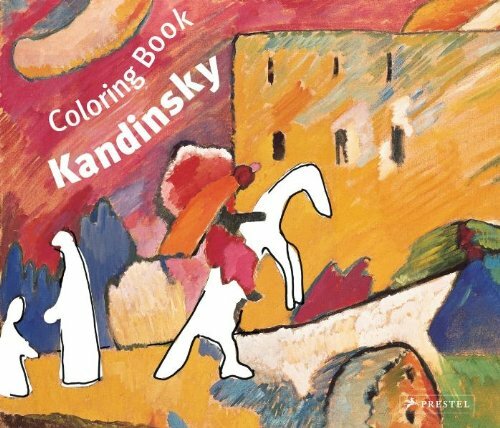 Looking through works by Kandinsky on WikiArt or Google Art project is another great activity. Notice how his early works are figurative and colourful. They quickly evolve to works with powerful colour and few recognizable forms. During his Bauhaus period Kandinsky's works have many geometrical elements. In his latest works, considered to be all of his styles merged together, Kandinsky shows his inner artist though forms that look like microscopic life organisms. A Film of Kandinsky himself, painting one of his Improvisations. Paint Brush: Make sure it is short and easy to hold. I find the ikea pack of paint brushes is great. They are a perfect size for children and have a variety of different brush tips. Wassily Kandinsky was of course a big fan of classical music. With music playing softly in the background and paint brush ready. Feel the music and paint away. No reference paintings needed because this activity is all about emotion and abstraction. I like to paint on my own things while my Jojo paints away. It is incredible listening to her voice her ideas and see the end result. In this film she painting away telling me about dinosaurs and dragons. This activity is really one that can be done over and over again. Autonomy as well as creativity can be developed so easily with an activity like this. I encourage you as well as your little ones to paint away and enjoy this feeling! 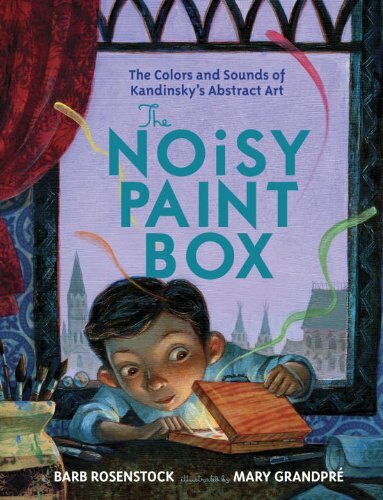 My favourite book for children about Kandinsky is The Noisy Paint box by Barb Rosenstock illustrated by Mary Grandpré. Children will meet Wassily as a little boy and go with him on his journey and discover the sounds of colours and the colours of sounds.